As of July 18th, 2010, our sidearm allowance will be decreased 15%. Please choose wisely. I often wonder how private military contractors (PMCs) allot resources to their soldiers employees...do they get an allowance? Do they get equipment issued? Leased? How does one ensure that they are properly outfitted before running headlong into potential hazards of the job? In the worlds of gaming, you sometimes get to choose from a select number of weapons. Sometimes you have to qualify for (unlock) them in succession; sometimes you have to earn credit for them. In some cases, you have a full arsenal for your perusal. In almost every case, you have to choose wisely. Rainbow Six Vegas 2 does an incredible job of giving the player as much versatility as possible; for this reason it remains my favorite co-op game and subject of much talking and typing. Not only can you develop your character's appearance for the sake of appearances, but some of your decisions affect your movement and resistance to attack. Once you've finally chosen your armor and clothing, you need to make sure that you're packing enough offensive force to overpower your enemies' configurations. 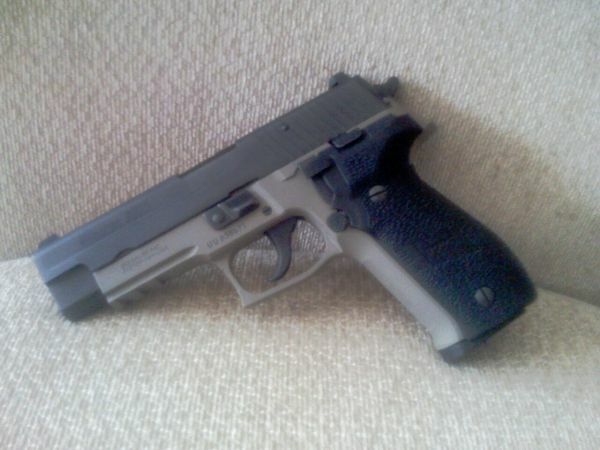 This, my co-op friends, is a Sig Sauer P226 Combat. It's a full-frame 9mm handgun with a single/double action trigger and external hammer. Needless to say, I'm particularly fond of this firearm, which I just purchased Saturday. In my opinion, this handgun is the standard for handsome and effective sidearms: Jack Bauer (TV series 24) and Michael Westen (TV series Burn Notice) carry the compact versions P229 and P228, respectively...and yet, you'd be hard-pressed to find it featured in a video game. In fact -- to my knowledge -- the only game of the current generation that includes this popular government-issued piece is Mercenaries 2: World in Flames. It's a crying shame. 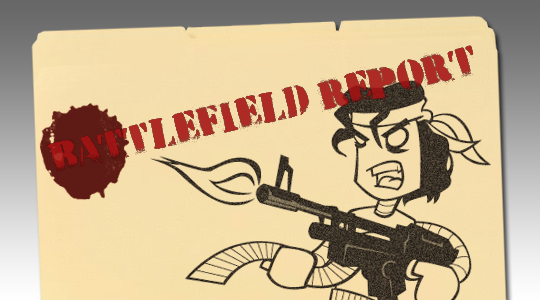 What does all this have to do with the Battlefield Report? Well, to be honest: not a whole lot. I'm just getting you in the mood for some gun love. Page created in 0.5393 seconds.